Cleaning floors is an important house chore. In fact, any home cleaning job will involve 70% floor cleaning. We clean not only to remove dirt and debris, but also for aesthetic value, prevention of injuries that could result from trips, and removal of allergens, among other reasons. Of importance is to keep in mind that, different types of floors call for unique methods of care and clean-up. Here are the four common types of floors in our homes today and their best cleaning practices. Many active families prefer laminate on their floors. It’s a heavy duty kind of flooring material that can withstand the rampant activity of children, guests and pets. In addition to its durability, laminate flooring is painless to clean. Use the following ideas to make your floor shine beyond your imagination. 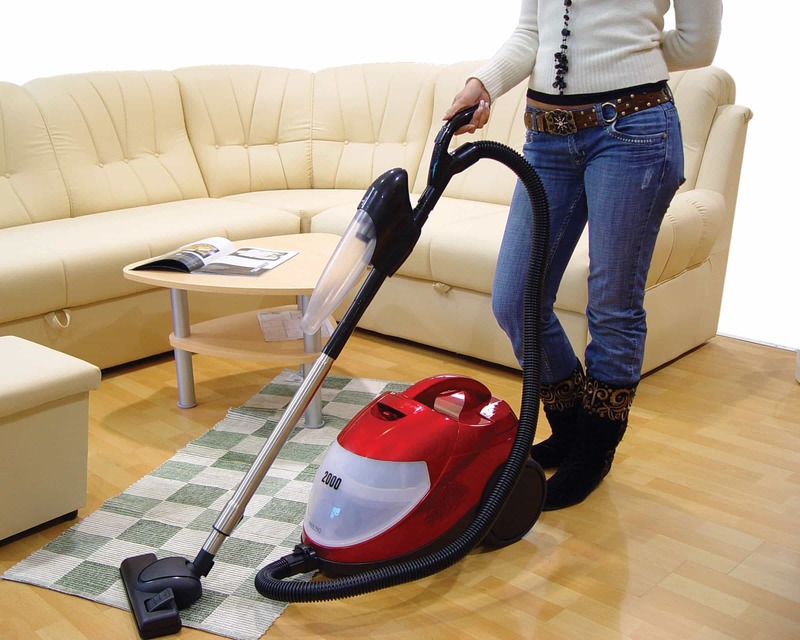 It is alright to vacuum or sweep laminate floors often. Mop with a damp cloth, but keep off excess water on the floor as this can harm its top finish. Even liquid stains should be wiped out immediately. Also, do not scrub a laminate floor especially with materials that can scratch the surface. With a household cleaner, you can purge out almost any stain on this kind of flooring. However, acetone will come in handy when dealing with ink stains, lipstick or permanent marker. Before cleaning any wooden floor, it is paramount to establish its coating. Oil, wax, or polyurethane coated wood floors require different treatment. However, whatever finish your wooden floor has, you can follow the following steps to render it squeaky clean within a few minutes. Begin by clearing the floor of any furnishings that are mobile to create ample space for work. Remove any loose debris or dirt by either sweeping or vacuuming. Next, pour water and a mild detergent into your washing bucket. Dip your mop in this solution and wrung it up thoroughly before swiping it around the floor to collect any remaining dirt. This will also purge out tough stains. It is necessary to mop along the grain to keep the flooring in shape for long. Avoid leaving water on lacquered wood floors as this may cause stains or warping. For this reason, take hold of a soft material such as cloth diapers and wipe any wet areas. After cleaning waxed floors with water, you may polish them with wax to restore their patina. In serious cases of dirt, use white spirit to clean but make sure to re-wax those sections. Tile floors are a great choice for those in search of stylish, water resistant and durable floorings. Tiles can be made of porcelain, ceramic or vinyl. Always make sure to clean your tiles recurrently so that they do not accumulate stubborn stains. In case you have to deal with tough stains on porcelain or ceramic floors, find an acidic cleaning solution, such as one made of white vinegar. You can actually make your own at home by mixing 4 liters of warm water with ½ cup of white vinegar. This will eat into grease remarkably thus giving amazing results. Stone floors are prevalent in the bathrooms, kitchens, and stairs. Common stones used in flooring are granite, marble, and travertine. All these can be cleaned properly using the following tricks; Sweep or vacuum the floor to remove any loose dirt and dust. Use a cleaning agent designed for stones to make your mopping solution. There are also cleaning sprays suitable for stone flooring. You can use a brush to scrub the flooring and mop to wipe out the dirty water so that the floor will be left dry. Most stone floor materials are treated at the factory. This helps them not to stain easily. Otherwise, it would be necessary to seal it regularly to preserve its sheen. In the case of acidic spills, try to wipe them out urgently before they could corrode the flooring material.